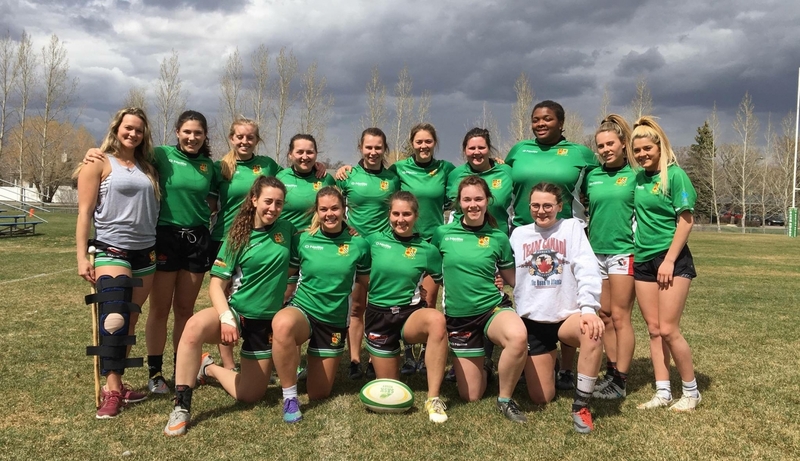 It was another wildly successful day for the Regina Rogues women as they went undefeated in Saturday's ryback 7's tournament. The clean sweep put an exclaimation point on the ladies third Ryback win in as many years. The women showed dominance in their preparation, skill and speed throughout the day. While the veterans like Mackenze Grad and Sara Einarson hit the ground running with the solid play that we've come to expect from them, the highlight of the tournament was the young talent. Two current high school players and U18 prospects Cyandra Cornish and Emily Findlay showed great potential and a high skill level at a young age. The force is strong with these two and the future looks bright for the rogues women. The Rogues men had a mixed weekend as they won 2 of 4 showing moments of great rugby, but lacking the stamina to overcome the Grads and the Pacific Islanders. While the result isn't necessarily what they had hoped for, the effort on the field certainly was. Mark Discombe acted as conductor from the scrum half position and Patrick Young did things that only Patrick Young could do. Once again however, the highlight was the youngsters stepping up. Multiple key players were afforded the opportunity to play with the Macdowell Academy team, which left the door open for new talent to enter the line-up. Patrick Golez played in his first ever senior competition and came away with a fantastic kickoff try against the Condors. At only 17 he is definitely one to watch for the future. Congratulations to the Macdowell Academy 7's who won their second tournament in a row on the Men's side. The team featured some of the top young talent in the praries, including 5 Regina Rogues and 1 Condor RFC athlete. The speed and skill of the Macdowell team was top of the field, and their youthful exuberance helped them cruise to victory. A HUGE Thank you to the Campion Grads and all the Rugby Club staff for another great year of Ryback 7's. It was a great way to start off the 2018 season and a ton of fun for everyone involved. ..especially watching Frank Jones dance.